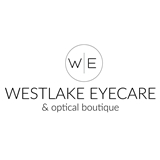 Westlake Eyecare (Austin) - Book Appointment Online! Premier vision care center and optical boutique offering two desirable locations nestled in the hills of Westlake and the heart of Downtown. Dr. Katie Kaufman and Dr. Raeann Murray provide first rate care in a top tier setting. Come see us today for your eye care and fashion needs! Great experience! Whole staff was really sweet and helpful - I was seen right away.